For prompt treatment of non-life-threatening illness or injury. Please be advised that although our hours are until 5 pm, depending on the wait time, after 4 pm your reason for your visit may be triaged and you may not be seen if you present with a non-emergent issue. Please click “Additional Services” for a drop down menu of special services we are able to provide. Got a question about TICKS ? You can download our Patient Registration Form and complete it prior to your visit ! 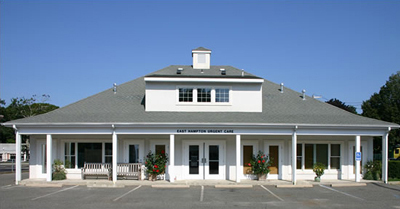 “East Hampton Urgent Care is a provider of Urgent Care for episodic injuries and illness. Care provided needs to be followed up with care by the patient’s Primary Physician or other Specialists. We do not provide routine or preventive care, or comprehensive primary care.